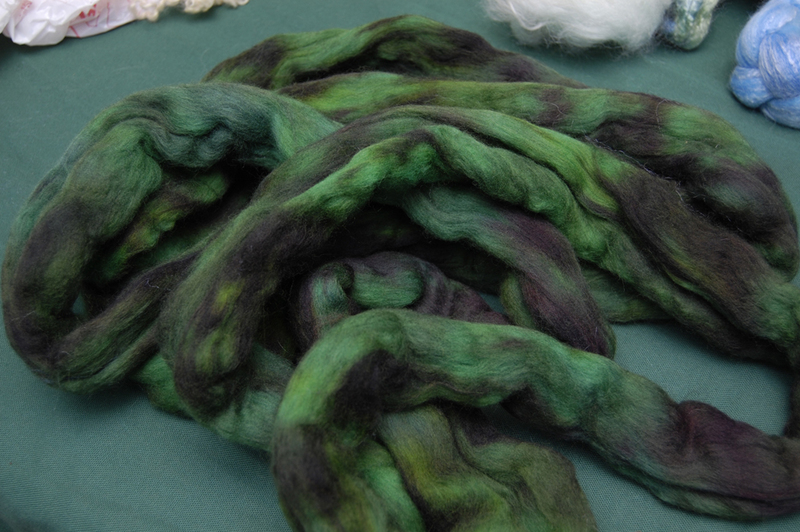 I had seen a whole wall of rainbow-dyed silk during the first walk through, and after I had bought stuff at Gwenyth Glynn and Whorling Tides, I headed back toward the Bullen’s Wullens booth. They had some amazing shades of color. It was hard to pick just one! (The silk came in larger packages. I can’t remember now if it was eight ounces or four. It’s a good size.) But I settled on this one. I can hardly wait to try spinning it. 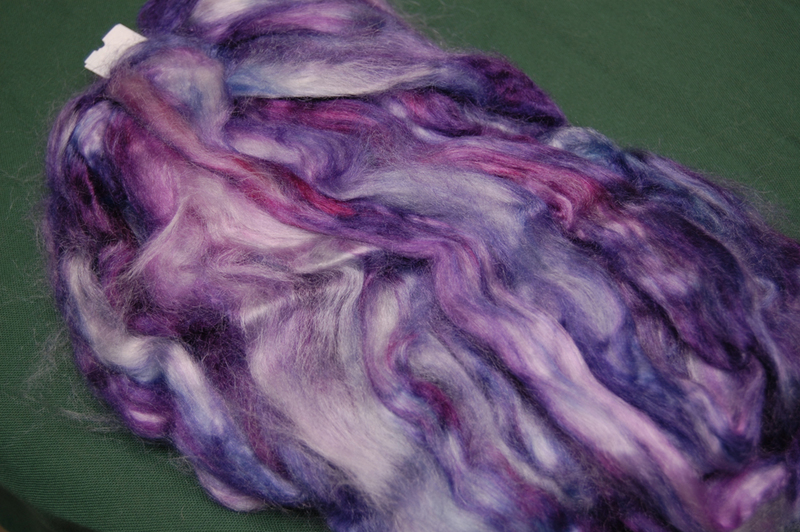 I’ve never done pure silk before. Then while I was checking out, this bag of wool jumped into my arms. I don’t know what I’ll spin it into. It looks almost coppery to me, with a little malachite thrown in. Maybe a light worsted? No, the color doesn’t look very delicate to me. Hmm. Decisions, decisions, decisions. That silk is beautiful! One of my dreams is to make a silk shawl some day. . . Pretty! I especially like the purple one.